There are very special venues on Adriatic sea that could be the ideal venues for very intimate and romantic wedding ceremonies on the sea. 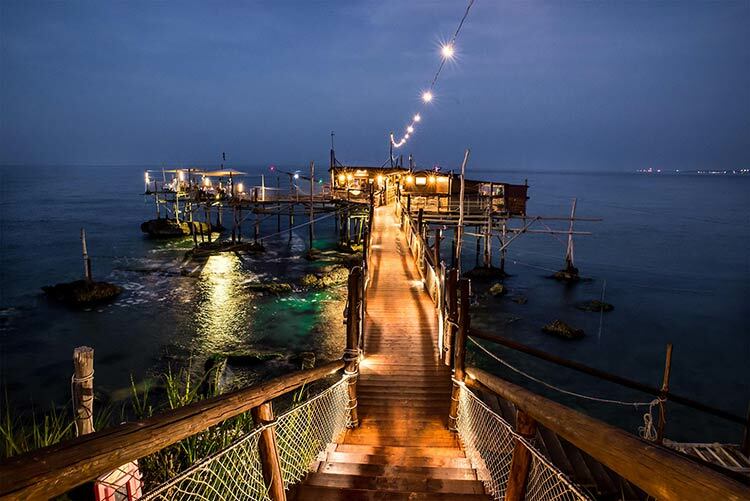 They are small restaurants but even traditional and historical venues… they are called Trabucchi or Trabocchi. 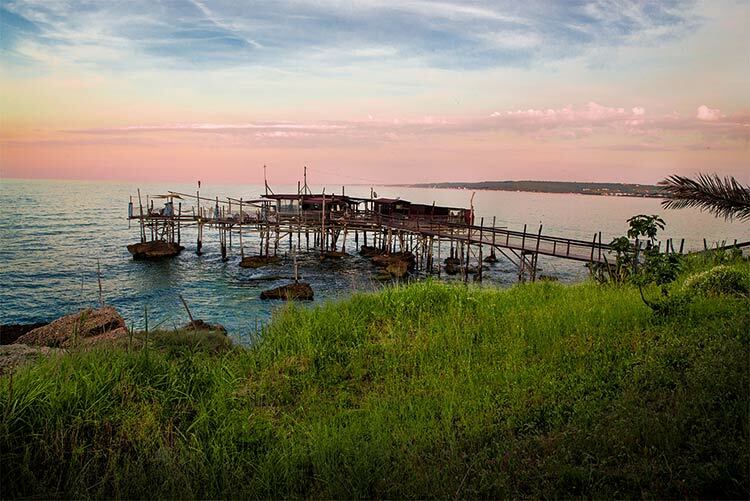 It is literally a fishing machine typical of Abruzzo and Northern Apulia – Gargano. 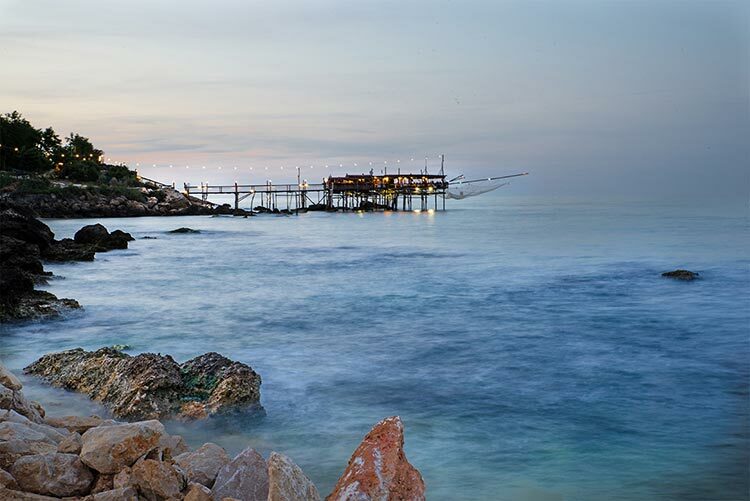 As the matter of fact the land of coast where trabucchi are located is called Trabocchi Coast (Costa dei Trabocchi). The “buildings” are all protected as historical monuments and they are simply amazing. They are all built from wood. They consist on a platform anchored to the rock jutting out into the sea. A long platform leads from mainland to the trabucco itself. Nowadays these fantastic buildings are renewed to be fish restaurants and wonderful venue for a very private dinner. We also think that they could be the perfect setting for an intimate romantic wedding ceremony for two! 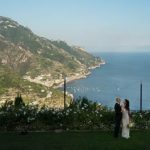 The ideal venue for a seaside elope in Italy! Don’t you think so? You can tie the knot just on the sea and celebrate your union to follow with a fantastic romantic candle light dinner by the sea. 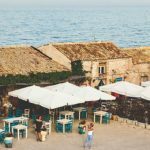 We are talking about symbolic ceremonies but in a Trabocco in Abruzzo region you could also celebrate your legal civil ceremony! A fantastic and very recent news we are happy to share! 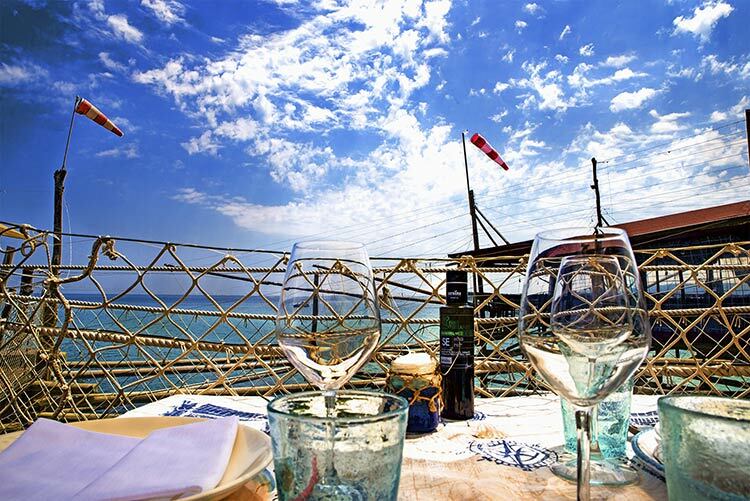 We are close to Pescara and Chieti on Adriatic sea a fantastic destination for a summer vacation and a legal civil ceremony on a trabocco! Don’t you think it is a great idea? 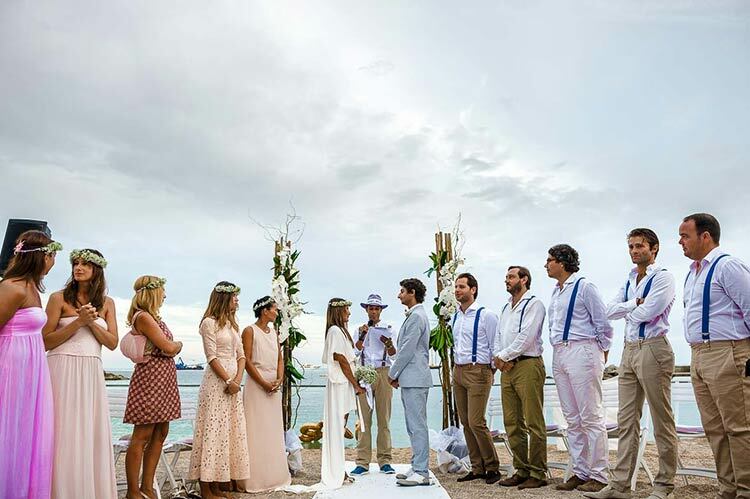 And for those who loves beach… there are some beaches in Italy that allow legal civil ceremonies in the sand… what a dream bare feet on the beach to tie the knot by Mediterranean sea under the Italian sky! 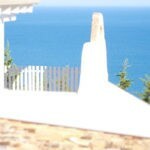 A celebratory meal or reception in a beach club in a fantastic little restaurant by the shore will be a must. 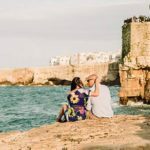 And this could be done not only for intimate seaside elope in Italy but even for bigger groups. A fantastic seaside wedding with a civil ceremony on the beach…..do you need anything more? 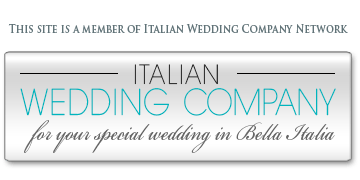 You can have legal civil ceremonies on the beach in Italy in: Lazio region on Roman seaside (Ostia and Fregene), in Sardinia (Orosei Gulf, Asinara Island and other famous sites), on Italian Riviera (close to Savona), Sicily, Emilia Romagna and Abruzzo (Pescara). 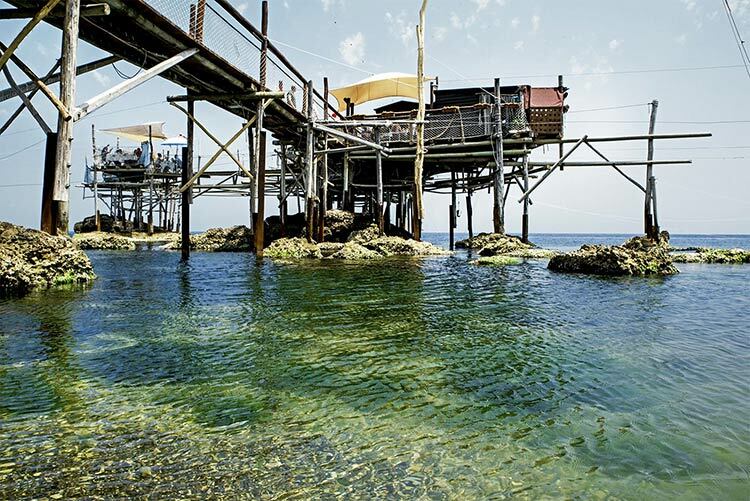 images from 1 to 5: Trabocco Punta Cavalluccio. image 6: Panorama Sposi Pescara. image 7: Riccardo Bestetti photographer. 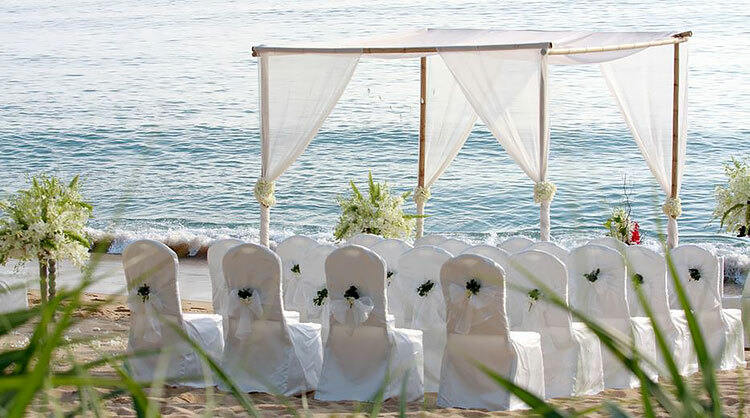 We are very interested in a beach wedding but are not exactly sure where- we like either Italy, Sicily or Sardinia. 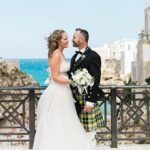 We would really appreciate any information you can give and are keen to book a wedding planner to help with all the details abroad. We are looking for a sandy beach with local amenities, a lovely intimate beach restaurant for wedding meal and celebrations. Please email me with your details and how we liaise to plan. We would like have a wedding party with around 50 people on the 01st of July 2017.